The Call - Written by Steven T. Seagle. Art and Cover by Ken Hooper & Barbara Kaalberg. In the aftermath of ZERO HOUR comes a new world-spanning band of adventurers: Tornado, Jack O'Lantern, the Golem, Claw and new hero Meridian. 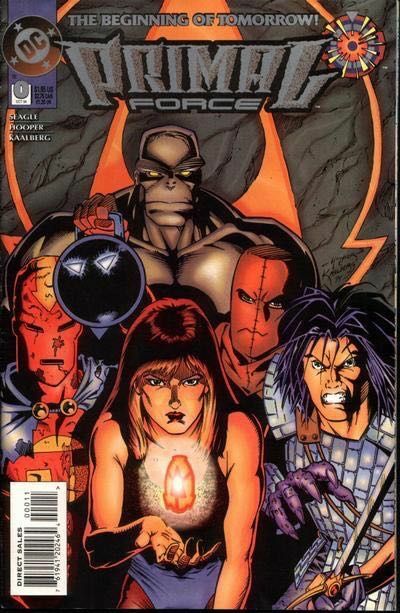 Drawn together by necessity, Primal Force exists to combat an evil that derives its strength from the dark powers of mythology and legend in the hidden corners of the DC Universe! 32 pages, full color. Cover price $1.95.